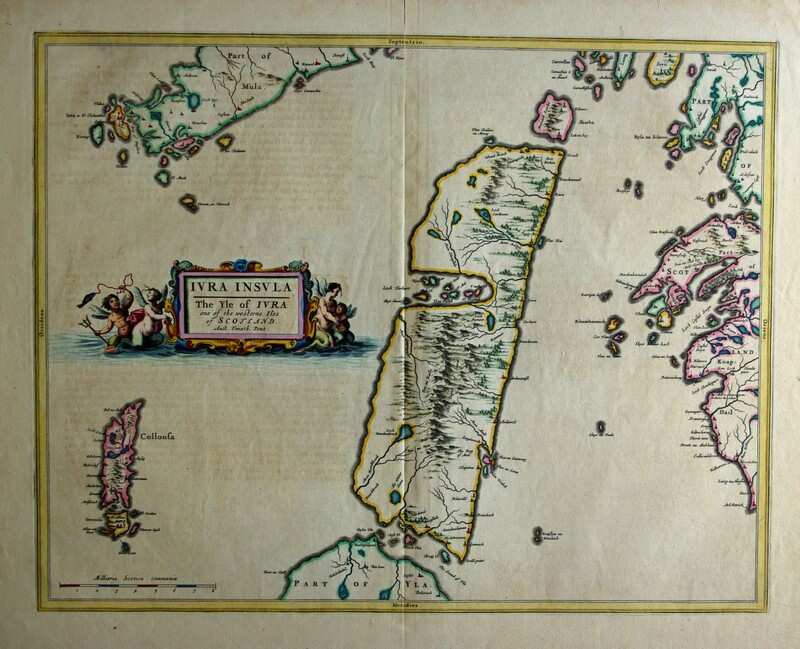 Blaeu's map of Jura, Latin text. Condition&colon; crumpled top margin, split to centrefold. Good condition.